Can You Transfer A UK Pension To Canada? Read On to Find Out More..
Can You Transfer A UK Pension to Canada? 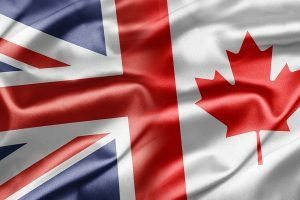 Transferring UK pensions to Canada has been a popular financial planning exercise for a significant number of ex-UK residents now living in Canada. The transfer of choice has either been to a Canadian QROPS (Qualifying Recognised Overseas Pension Scheme), now called a Canadian ROPS (Recognised Overseas Pension Scheme), or a scheme set up in another popular QROPS jurisdiction such as Malta. However, in February 2017, all Canadian QROPS were removed from HMRC’s ROPS list. So the question as to whether you can transfer your UK pension to a Canadian domiciled scheme is, no, you no longer can. You can still transfer your UK pension to another QROPS jurisdiction such as Malta, Hong Kong or New Zealand, however, you’re likely to be liable for an upfront 25% tax charge. The question is then, if you are resident in Canada, are there any UK Pension Transfer options still open to you as a Canadian resident? Well, you’ll be pleased to learn that yes, there are, and that is in the form of an International SIPP (Self Invested Personal Pension). An International SIPP will mean that your pension will not actually physically move to Canada, however, the benefits that an International SIPP can provide, should be able to offer you a very similar solution to that which the ROPS was able to offer. There’s a lot more to be said about how UK Pension Transfers for Canadian residents work and, of course, whether a UK Pension Transfer for a Canadian resident is a correct cause of action or not, will be dependent upon individual, particular, financial plans and circumstances. As an International Financial Advice firm that has arranged many UK Pension Transfers for Canadian residents, we’d be more than happy to arrange a time to discuss the options available to you. If you already hold an International SIPP, or QROPS and are looking for a new adviser, we’d be happy to discuss how we can hel with taking over the management of your plan. With more than 10,000 clients worldwide, as a multi-award winning International Financial Advice organisation, we pride ourselves on providing our clients with the very best in fee-only, non-commission based International Financial Planning. Contact us today for a fee-free initial meeting to understand more.